Dragons often symbolise auspicious powers, things like control over typhoons and floods. They're also powerful symbols of strength and good luck. 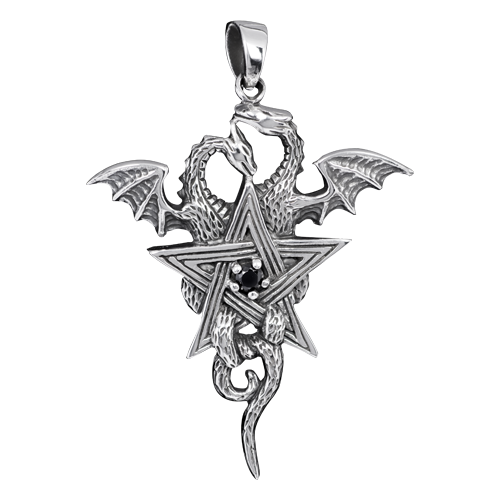 The pentagram is usually associated with femininity, wisdom, knowledge and the Wiccan and Celtic religions. This lovely pendant combines the lot into an item of jewellery you'll want to wear every day, beautifully made especially for people like you. It makes a great gift, too!